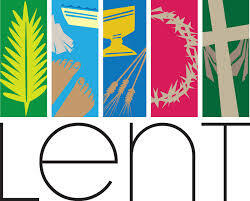 It’s the season of Lent when we’re to focus more, pray harder, and lean closer into the Holy Spirit. I hardly ever visit Haywood Street Congregation without a Lenten experience, no matter what the season. About 11 o’clock Thursday, I came in out of nine-degree weather and sat a few minutes with two new friends at Haywood. One was a tall older man who sounded as if he were Harvard educated; another a young man with an attractive pooch in some sort of rolled up bed beside his chair. “Where’d you sleep last night?” I asked as we talked about the weather. On the street, they both said. So he went with his dog to tuck in against a piece of icy concrete somewhere in the city. The dog would have lain beside him quietly. The young man refused a night of warmth and comfort to assure the care of his pet. And that’s what Jesus does with us. Wherever we are, whatever our distress, he stays with us, goes into the worst of places just to be with us and care for us, hears our most desperate anguish and prayers and stays, even when we ignore him. When we ask him, he offers what he has to us. And that’s what Haywood Street Congregation endeavors to do, to be where the hurting are, to see through the faces to the deepest needs as well as the most immediate, to be companions, care-givers, healers, to hold out hands of love and not let go. We shouldn’t have to have Lent, an established time-out, a time singled out where we raise our eyes to God more intently, recognize his pain, read inspirational pieces and, very privately, make a pact that will be quickly forgotten. If God has gone to the worst places with us, can’t we make it a natural habit to acknowledge his presence – his importance in all seasons of our lives?